Ultimately, here are the questions at hand: Can a deal based on this framework prevent Iran from obtaining a nuclear weapon? Will the U.S. and its allies be more secure because of it? The answer to both is yes. While some difficult details still need to be worked out, nuclear experts and analysts have overwhelmingly praised the April 2 framework as establishing a strong basis for reaching a final agreement. The fact is the case against the framework is very weak. Because opponents of a deal with Iran understand that they cannot sell a stance that risks another war in the Middle East, they have backed off total opposition and stated that what they want is a “better deal.” Insisting on this better deal, however, makes the perfect the enemy of the good, and would very likely scuttle negotiations — leaving the U.S. and its allies in a far worse position to address the problem. Because the Iranian concessions were much stronger than previously rumored, opponents are trying to build opposition by selecting pieces out of context or suggesting dubious interpretations. The American –Israel Public Affairs Committee (AIPAC) opposes the framework and backs a position articulated by Israeli Prime Minister Benjamin Netanyahu and other critics of diplomacy with Iran. They recently issued an information sheet identifying seven key concerns about the April 2 framework. Let’s break them down one by one. That’s true. What AIPAC fails to mention is what the agreement does include: Iran has agreed to convert its facility at Fordow so it can no longer be used to enrich uranium. Enrichment will only occur at one site, Natanz, and even there, Iran will only enrich uranium to 3.75% (90% is the standard for weapons-grade uranium). Iran also agrees not to build any new enrichment facilities for 15 years. And importantly, all of what remains will be open to inspection by the International Atomic Energy Agency (IAEA). At Iran’s one enrichment facility, it will only use 5,060 old-model centrifuges. That is less than one-third of the number of centrifuges (some 19,000) they have today, many of which are newer and more efficient, and can enrich uranium much faster, than the ones Iran will now be using exclusively for the next ten years. Another 944 centrifuges will be used for research and development, not for enrichment, and for this they can use more up-to-date centrifuges. This represents an enormous reduction from the current situation. It also represents a huge walk back from Iranian Supreme Leader Ayatollah Ali Khamenei’s previous public demands on Iran’s enrichment capacity. True, Iran won’t close the Fordow facility. But it will convert it to a research center. The research performed there cannot be associated with uranium enrichment for the next 15 years, nor will Iran have any fissile material there for that same period. And, again, adherence isn’t based on trust, it’s based on verification. The facility will be closely monitored by the IAEA. It’s also important to note that, in exchange for the face-saving measure of keeping the Fordow facility open, Iran actually agreed to reduce its uranium enrichment capacity even further – from 6000 to 5000 centrifuges. Iran also agreed to grant access to “suspicious sites,” should there be any suspicion that they are clandestinely producing any of the materials required for weapons. There is nothing unclear here. This agreement does not give carte blanche to inspectors to go anywhere they want in Iran, any time they want. That is what some opponents of a negotiated deal with Iran have been demanding, but no country would ever agree to such a condition. The bottom line is that, according to the framework, inspectors will have unprecedented access to all of Iran’s nuclear sites as well as any other sites where there are substantive suspicions that violations of the agreement have taken place. Indeed, this is a crucial issue, and the framework only says that “Iran will implement an agreed set of measures to address the IAEA’s concerns.” Legitimate questions about Iran’s past weapons-related work exist based on its record of secrecy, and the international community has a right to expect that these questions will be satisfactorily addressed. However, we must keep in mind that this is a difficult issue for Iran. The Iranians are well aware that they will have to detail at least some of their covert channels and activities in order to create sufficient confidence in the eventual deal. On the other hand, the Iranian Supreme Leader has repeatedly stated not only that Iran has never pursued a nuclear weapon, but that nuclear weapons are forbidden in Islam. The Iranian government must strike a balance between reversing their position and saving face. Undoubtedly, the P5+1 and Iran are each aware of these issues for the other, and in fact, the very ambiguity on this point in the framework demonstrates that they understand the gravity of the matter. The fact that Iran agreed to address the IAEA’s concerns demonstrates that Iran understands the need for disclosure regarding its past activities. It also implies that the P5+1 recognize the difficulties Iran faces in doing so. 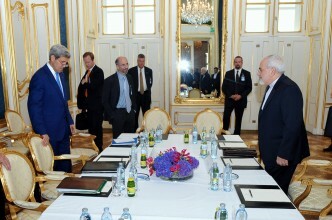 That is a promising basis for the ongoing negotiations, where the modalities of Iranian disclosure can be worked out. Fortunately, we don’t need to merely trust that the Possible Military Dimensions (PMD) of Iran’s nuclear program—past, present, and future – are being addressed. Even under the publicly revealed aspects of the framework, the international community will have unprecedented transparency at every stage of Iran’s nuclear supply and development chain, creating a multilayered system of tripwires that will sound the alarm should Iran try to sneak toward a nuclear weapon. It is true that there is some ambiguity about how these mechanisms would work. However, remember that the current agreement is a framework, not a final deal. That’s why negotiations continue through the end of June. The framework makes it clear that U.S. and E.U. sanctions connected to the nuclear issue will be lifted once the IAEA verifies that “…Iran has taken all of its key nuclear-related steps.” Sanctions return if, after that, Iran fails to maintain compliance. What’s more likely is that Iran would need considerably more time to assemble the materials and reassemble the infrastructure necessary to do this. Moreover, as we have seen, Iran agreed to enhanced inspections for a much longer period of time, and even after that, it would still be a signatory to the Non-Proliferation Treaty and subject to the inspection requirements in that agreement (with inspectors having had over a decade of unprecedented access to every aspect of Iran’s nuclear infrastructure). 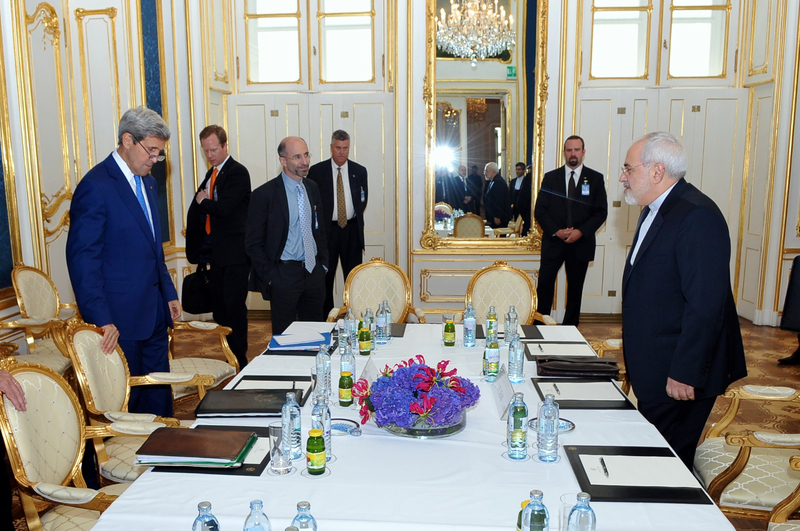 It would be exceedingly difficult for Iran to rush to a bomb as soon as the agreement expired without anyone noticing. This kind of statement is intended to frighten people into opposing the deal. It is strictly true, but has little connection to reality. In conclusion, a close examination of the arguments against the April 2 framework shows them to be, at best, threadbare. “The individuals who say that this deal provides a pathway for Iran to a bomb are being wholly disingenuous, in my view, if they know the facts and understand what is required for a program,” CIA Director John Brennan said. “I certainly am pleasantly surprised that the Iranians have agreed to so much here.” Brennan’s view has been echoed by other intelligence and military officials, including Israelis and Americans. It is true that an agreement with Iran carries some risk. But moving on without a deal is riskier by far. It would mean no inspections, no restrictions on Iran’s actions, increasing tensions, and quite possibly, a series of escalations toward another Middle East war. The April 2 framework represents the best option for addressing this challenge, and for advancing the shared security of the U.S., its allies and partners in the region.